An extra-roomy sleeping bag with a durable taffeta shell and a 100% cotton flannel lining which feels like soft bed sheets. 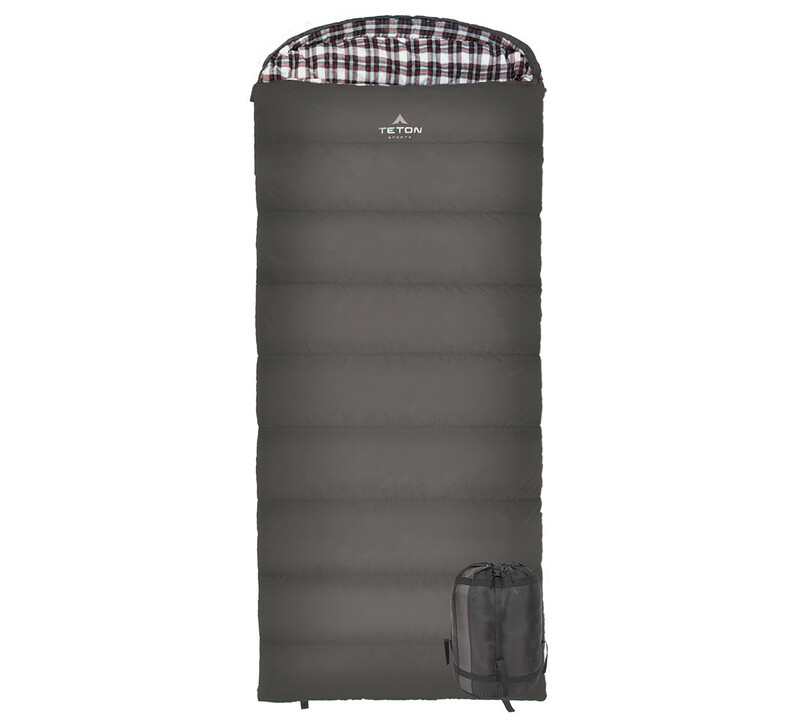 At 90" x 39", the spacious Fahrenheit XXL +20°F sleeping bag seems like a portable bed, especially when paired with the TETON Sports® Outfitter XXL Camp Pad. The double-layer construction and full-length shoulder and zipper draft tubes work together to eliminate cold spots. The half-circle hood pulls in around your head by the drawstring. It has a no-snag, self-repairing zipper that opens the top or bottom for adjustable ventilation and a right-zip bag connects easily to a left-zip bag for a shared sleeping space. Includes an inside pocket for your keys or wallet and a stuff sack with compression straps for storage.